Angela Rodríguez - Who Is Alberto Del Rio's Wife (Or Ex-Wife)? 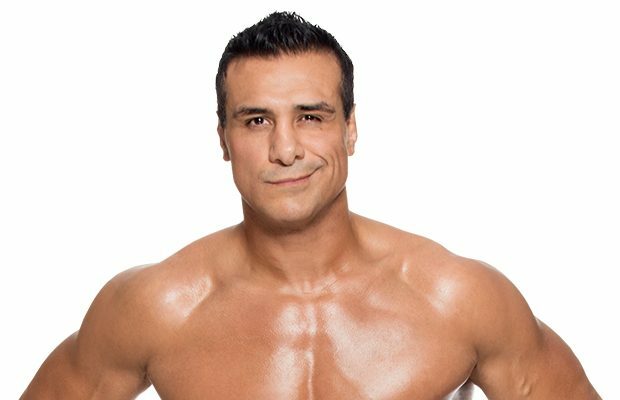 Home / Inside / Couples / Angela Rodríguez – Who Is Alberto Del Rio’s Wife (Or Ex-Wife)? Angela Rodríguez – Who Is Alberto Del Rio’s Wife (Or Ex-Wife)? Who is Angela Rodríguez? That’s one question on the minds of people searching for information on Alberto Del Rio. As one of the premiere wrestlers in the world, it can only be expected that fans would want to know about the four-time WWE World Heavyweight Champion outside of the ring. Google searches on the San Luis Potosi, Mexico native show there are a lot of fans curious about his love life, especially since he recently hooked up with fellow WWE Superstar Paige. Numerous websites, including Google, say the WWE Superstar has a wife by the name of Angela Rodríguez. It has also been claimed that they are the parents of a son named Joseph, as well as two daughters, Estephanie and Sophie. Other than that, there is virtually no information online regarding Angela. A photo from their wedding, however, did surface online. While Del Rio’s relationship with Paige would indicate that he is free to date, it was only speculation. The 39-year-old, however, confirmed in July 2016 he is in fact divorced (and therefore free to have a relationship with Paige). During a media interview in India where he talked about the process of being a character in a video game, “The Essence of Excellence” revealed that Angela is his ex-wife. “It feels like the real me. What they do with all those scans, it’s just amazing, it even captures all my expressions. When you’re playing the game, he moves just like me. I love playing with myself . . . that sounds like something my ex-wife would say,” he said with a laugh. While Angela appears to be out of the picture, she will most certainly factor into Del Rio’s relationship with Paige due to the children. 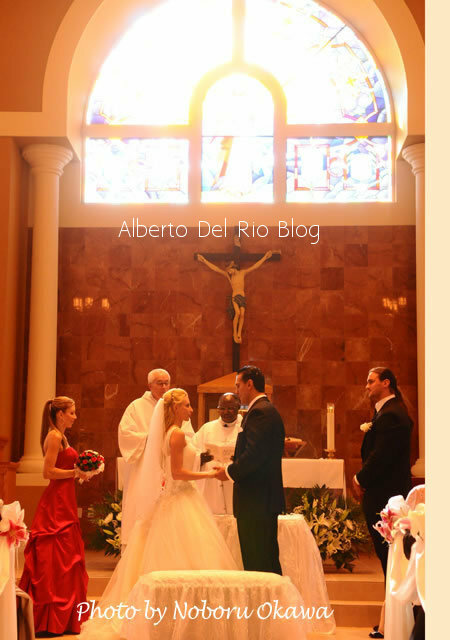 Check out these rare photos of Del Rio and his ex-wife. Next Story → Paige’s Boyfriend – Who Is The WWE Star Dating?